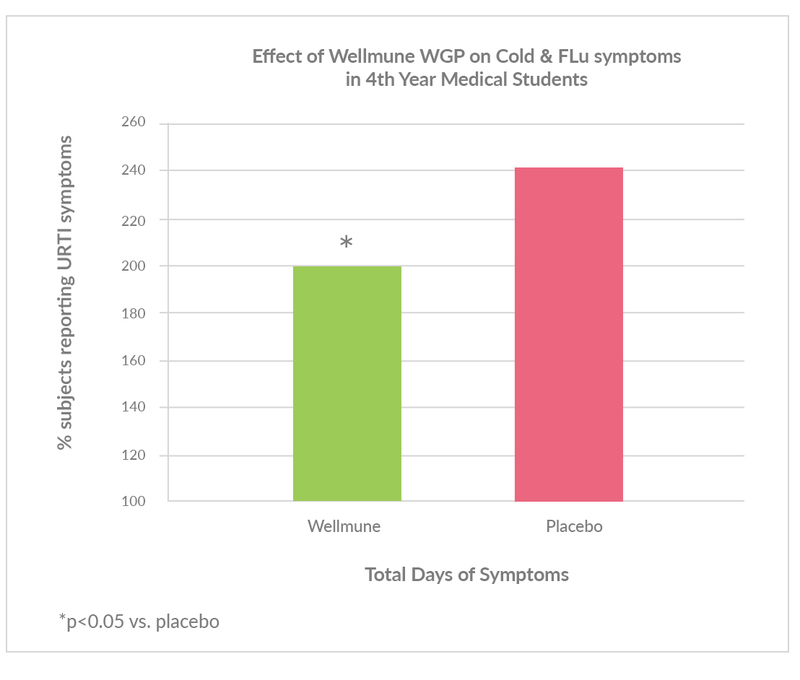 Wellmune significantly reduced the duration of upper respiratory tract infection (URTI) symptoms in a healthy population of 100 medical students during a 90-day study at the peak of the cold-flu season. 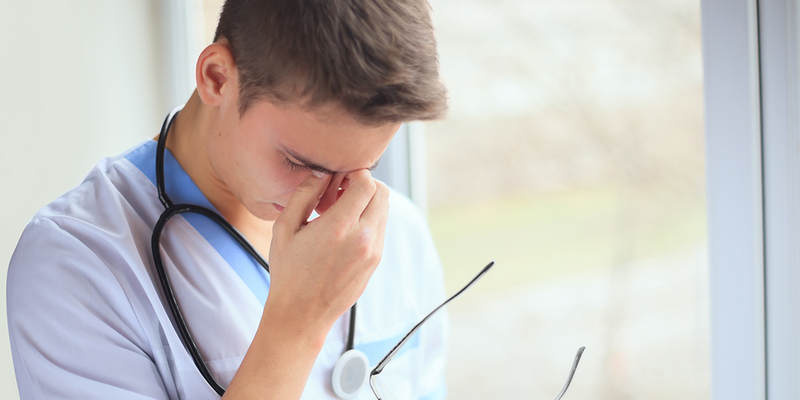 One hundred fourth-year medical students at Southampton University Medical School participated in the randomized, double-blind, placebo- controlled study. The students consumed 250 mgs of Wellmune once daily or an identical placebo capsule. Participants completed a daily health diary recording presence or absence of listed URTI symptoms. Two or more reported URTI symptoms for two consecutive days triggered medical assessment and cytokine analysis within 24 hours. A total of 97 participants completed the trial protocol (Wellmune n=48, Placebo n=49). There was a significant reduction (18%) in the total number of days with self-reported URTI symptoms in Wellmune group compared to placebo (198 days versus 241 days, p=0.039). In total, 24 episodes of URTI were medically confirmed, 12 episodes in each group. Wellmune did not induce inflammatory cytokines. No cytokine change was seen during symptomatic URTI between study groups. “Influence of yeast-derived 1,3/1,6 glucopolysaccharide on circulating cytokines and chemokines with respect to upper respiratory tract infections.” Nutrition 28:665-669.